They had great menu options, including this great chicken dish with a Cajun cream sauce. We ultimately opted for seafood entrees, especially knowing that we could make our own version of this great sounding chicken dish! After cutting the chicken into strips, season it with salt and pepper (or Cajun seasoning for twice the bang! ), then grill the chicken strips low and slow, around 4-5 minutes on each side, then more as needed to ensure proper preparation of the chicken. 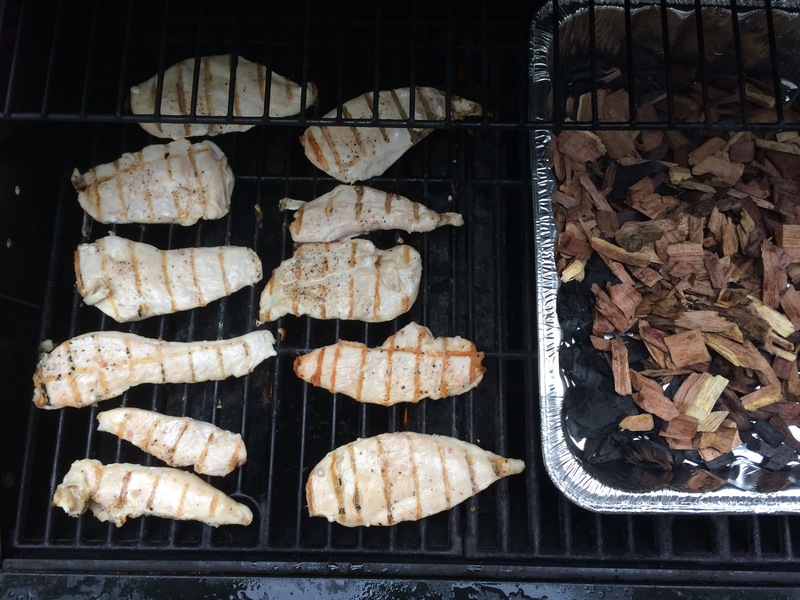 We used mesquite chips for a gas grill to give ours a great, smoky taste! Then, melt the butter and begin to saute the onions and peppers over medium heat. Once they begin to brown a bit, turn them to low and add in the tomatoes. Then, add in the garlic powder, salt and pepper, and the heavy cream. Let all of this begin to cook on low until it has reduced and thickened. Then cook the pasta as directed for al dente penne. 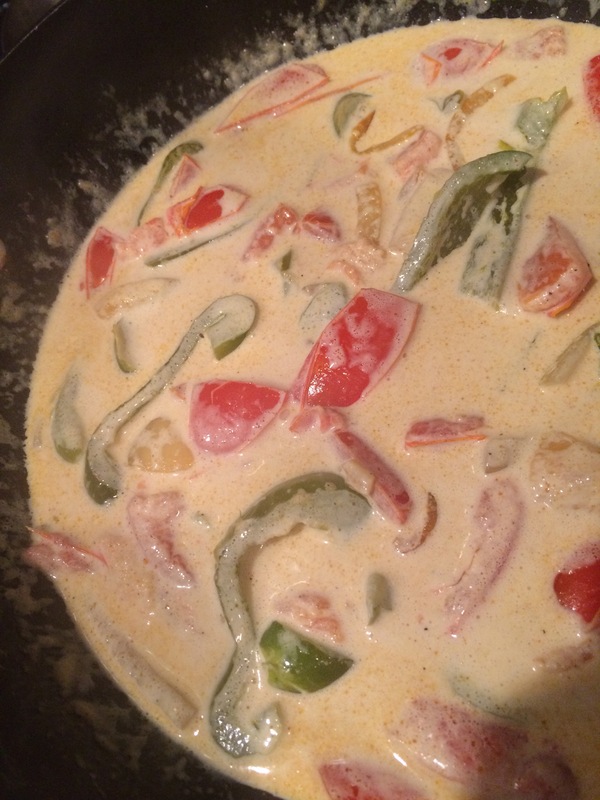 As the pasta is cooking, keep stirring the vegetables and cream sauce, and add in the Cajun seasoning. Once the pasta has cooked and has been drained, and the sauce is at a consistency similar to alfredo sauce, add the pasta in with the vegetables and sauce. Turn the burner off and toss all ingredients in the pan. You can add the chicken in as well, or place it on top of the pasta, veggies and cream sauce as you are about to serve the meal. This is a great dish with just the right amount of heat. And if all of the chicken is gone, you can even have the veggies, pasta and sauce as a great cold pasta salad!